Conjugated Linoleic Acid, when appropriately prescribed, may assist patients suffering from the following conditions. This statement does not imply or make a claim for a cure for these disorders. The use of Conjugated Linoleic Acid should be based on the published and relevant scientific and clinical data for each condition. Conjugated Linoliec acid (CLA) is a chemoprotective fatty acid, that occurs naturally in foods and is present in higher concentrations in products from ruminant animals (eg. Cheddar cheese). CLA is a collective term used to designate a mixture of positional and geometrical isomers of linoleic acid in which the double bonds are conjugated. It was recently discovered that the natural sources of CLA such as beef, butter and cheese no longer provide as much CLA as they have in previous generations. The decreased CLA content in meat and milk has been associated with changes in cattle feeding practices. For optimal CLA production, cows need to graze on grass rather than be artificially fattened in feed lots. The meat of grass fed cows contains up to four times as much CLA. Today’s dairy products have only about one third of the CLA content they used to have before 1960. While CLA is chemically related to linoleic acid, it appears to have opposite effects in certain areas. For instance, linoleic acid stimulates fat formation (lipogenesis) in adipose tissue, while CLA inhbits fat formation, linoleic has been shown to promote tumor growth, while CLA is an inhibitor of tumor growth, linoleic acid makes chlolesterol more susceptible to oxidation, while CLA makes cholesterol more stable. This is due to the fact that unlike “true” linoleic acid, Conjugated Linoleic acid does not undergo the metabolic transformations associated with Linoleic acid that lead to the production of arachidonic acid. which has been associated with allergies. Improved immune function resulting from CLA supplementation can also be postulated on the basis of its ability to lower the production of immunosuppressive compounds such as leukotriens and series II prostaglandins, and to improve insulin sensitivity. As CLA improves insulin sensitivity, one could conclude that as elevated insulin promotes atherosclerosis, any agent that lowers insulin levels by improving insulin sensitivity could be classified as anti atherogenic. CLA could also have further benefits in atherogenesis as it has been shown to improve serum lipids and spare vitamin E.
CLA is essential for the transport of dietary fat into cells, where it is used to build muscle and produce energy. Fat that is not used for anabolic energy production is converted into new fat cells. CLA is also required to maintain optimal function of the phospholipid membranes of cells. In 1997 a double blind cross over study, results showed that the CLA group experienced a 15-20% reduction in average body fat compared with the placebo group. CLA supplementation was shown to improve lean mass to body fat ratio, decreasing fat deposition, especially on the abdomen, and enhancing muscle growth. Studies have shown that CLA may reduce body fat by enhancing insulin sensitivity so that fatty acids and glucose can pass through muscle cell membranes and away from fat tissue, this results in an improved muscle to fat ratio. The consumption of certain forms of dietary fat has been linked to the high incidence of certain cancers. However recent research has stimulated interest in CLA, which has shown anticarcinogenic effects. Recent studies have concluded that CLA may inhibit the development of some forms of cancers. Many human trial double blind studies have shown that CLA may inhibit the proliferation of human malignant melanoma, colorectal, breast and lung cancer cell lines. CLA has been shown to inhibit the development of breast cancer. In a number of studies CLA at near physiological concentrations, inhibited mamary tumorigenesis, glioblastoma, melanoma, colorectal, lung, prostatic carcinoma and leukemia. Based on published studies, it appears that the ideal dose of CLA for cancer prevention or treatment is three 1000 mg capsules of CLA perday. Toxicity – Extensive research using CLA has shown no toxicity or adverse effects. Belury MA, Kempa-Steczko A. Conjugated linoleic acid modulates hepatic lipid composition in mice. Lipids 1997; 32:199-204. Cesano A, Visonnneau S, et al. Opposite effects of linoleic acid and conjugated linoleic acid on human prostatic cancer in SCID mice. Anticancer Res 1998; 18:1429-34. Cunningham DC, Harrison LY Shultz TD. Proliferative responses of normal human mammary and MCF-7 breast cancer cells to linoleic acid, conjugated linoleic acid, and eicosanoid synthesis inhibitors in culture. Anticancer Res 1997; 17:197-203. Houseknecht KL, Vanden Heuvel JP et al. Dietary conjugated linoleic acid normalizes impaired glucose tolerance in the Zucker diabetic fatty fa/fa rat. Biochem Res Commun 1998; 244:678-82. Ip C, Jiang C, et al. Retention of conjugated linoleic acid in the mammary gland is association with tumor inhibition during the post-initiation phase of carcinogenesis. Carcinogenesis 1997; 18:755-9. Ip C, Scimeca JA. Conjugated linoleic acid and linoleic acid are distinctive modulators of mammary carcinogenesis. Nutr Cancer 1997; 27:131-5. Ip C. Review of the effects of trans fatty acids, oleic acid, n-3 polyunsaturated fatty acids, and conjugated linoleic acid on mammary carcinogenesis in animals. Am J Clin Nutr 1997; 66:15235-15295. Jiang J, Bjorck L, Fonden R. Production of conjugated linoleic acid by dairy starter cultures. J Appl Microbiol 1 998;85:95-1 02. Lee KN, Kritchevsky 0, Pariza MW. Conjugated linoleic acid and atherosclerosis in rabbits. Atherosclerosis 1994; 108:19-25. Lee KN, Pariza MW, Ntambi JM. Conjugated linoleic acid decreases hepatic stearoyl-CoA desaturase mRNA expression. Biochem Biophys Res Commun 1998; 248:817:21. Li Y Watkins BA. Conjugated linoleic acids alter bone fatty acid composition and reduced ex vivo prostaglandin E2 biosynthesis in rats fed n-6 or n-3 fatty acids. Lipids 1998; 33:417-25. Liu KL, Belury MA. Conjugated linoleic acid modulation of phorbol ester-induced events in murine keratocytes. Lipids 1998; 32:725-30. Liu KL, Belury MA. Conjugated linoleic acid reduces arachidonic acid content and PGE2 synthesis in murine keratocytes. Cancer Lett 1998; 15:15-22. Nicolosi RJ, Rogers EJ, et al. Dietary conjugated linoleic acid reduces plasma lipoproteins and early aortic atherosclerosis in hypercholesterolemic hamsters. Artery 1997; 22:266-77. Park Y, Albright KJ, et al. Effect of conjugated linoleic acid on body composition in mice. Lipids 1997; 32:853-8. Scimeca JA. Toxicological evaluation of dietary conjugated Linoleic acid in male Fischer 344 rats. Food Chem Toxicol 1998; 36:391-5. Sugano M, Tsujita A et al. Conjugated linoleic acid modulates Tissue levels of chemical mediators and immunoglobulins in rats. Lipids 1998; 33:521-7. Thompson H, Zhu Z, et al. 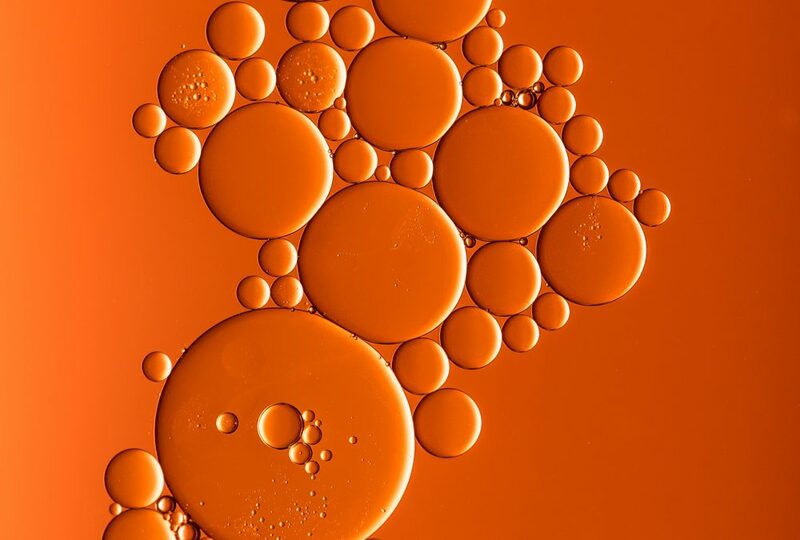 Morphological and biochemical status of the mammary gland as influenced by conjugated linoleic acid: implication for a reduction in mammary cancer risk. Cancer Res 1997; 57:5057-72. Visonneau S, Cesano A, et al. Conjugated linoleic acid suppresses The growth of human breast adenocarcinoma cells in SCID mice. Anticancer Res 1997; 17:969-73. Wander RC, Du SH, Thomas DR. Influence of long-chain Polyunsaturated fatty acids on oxidation of low-density proteins. Prostaglandins Leukot Essent Fatty Acids 1998; 59:143-51. West DB, Delany JP et al. Effects of conjugated linoleic acid on Body fat and energy metabolism in the mouse. Am J Physiol 1998; 275:R667-72. Wong MW, Chew BP et al. Effects of dietary conjugated linoleic acid on lymphocyte function and growth of mammary tumors in mice. Anticancer Res 1997; 17:987-93.